When retailers announce profit warnings or store closures, it’s often millennials who get the blame: ‘They value experiences over possessions’, ‘They spend all their money on avocados’ etc. In fact, millennials do want to buy things with their money – they just don’t have a lot it, enduring higher living costs, lower wages and worse job prospects than older generations did at the same age. Considering that millennials will soon have the lion’s share of global spending power (over $20 trillion by 2020), it’s not surprising that brands are future-proofing by making themselves more accessible. We take a look at the big brands doing just that, and the game-changing companies helping them do it. There’s been a lot of press about influencers returning clothes after wearing them once, but for the majority of shoppers, sending back unwanted purchases and waiting for the refund to hit their bank account is a major barrier to purchase. Retailers have responded with try-before-you-buy services, allowing shoppers to order as much as they want and only pay for what they keep. Some brands, like Amazon and Alibaba’s Tmall, have developed their own services, while many more are working with third parties (of which Klarna is the most prolific, recently launching a high-profile B2C campaign). You could argue that try-before-you-buy is the antithesis to sustainable shopping, decreasing the value of clothing and encouraging over-consumption. But as long as retailers adjust (not reordering stock until it has been paid for etc. ), we think it will make shopping more sustainable; if people are 100% happy with everything they buy, surely they’ll send less clothes to landfill? 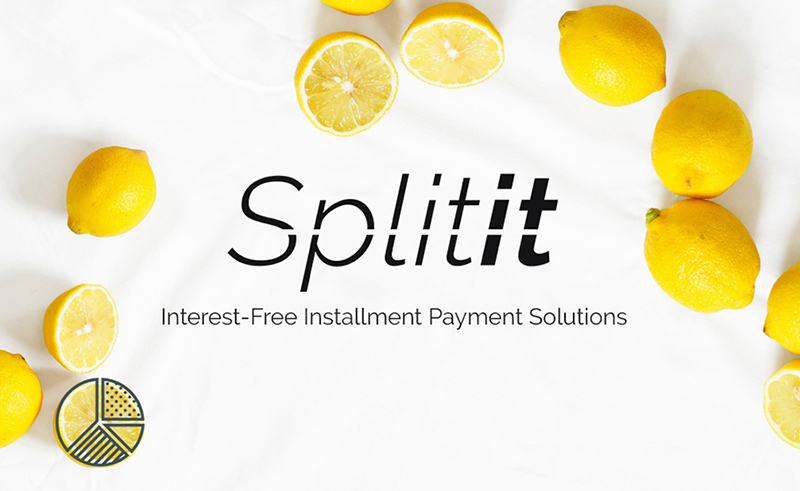 Digital-first companies like Afterpay, Splitit and Klarna (as mentioned above) allow users to pay in instalments for everything from fashion to tech. While catalogues have been used to spread the cost of shopping for decades, these new companies enable people to pay in instalments wherever and whenever they shop. Partnering with big brands, these companies offer an alternative payment method at checkout, mainly online but increasingly in store too. Shoppers pay the first instalment and the item is delivered/taken home as normal, then there are three more instalments to pay (all interest-free, if paid on time). There are ethical implications to making debt so readily available to young consumers, but it’s no different to offering customers store cards with large credit limits. 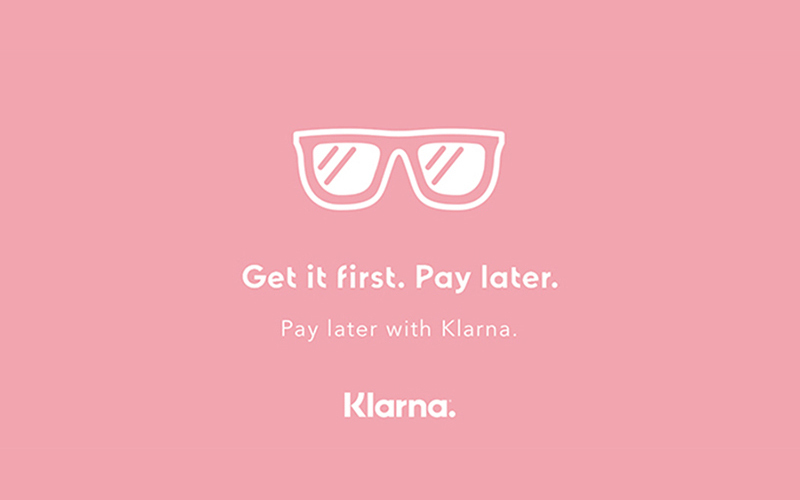 We think this type of payment will gain traction throughout retail and beyond – in Nordic countries for example, Klarna is already being used to pay dentists, plumbers and mechanics. Millennials could soon be leasing furniture too, if Ikea’s new initiative takes off. The furniture giant has announced plans to lease kitchens, which it hopes will evolve into a ‘scaleable subscription service’. This would be great for millennials, or ‘Generation Rent’, who are less likely to own a home and put down roots. 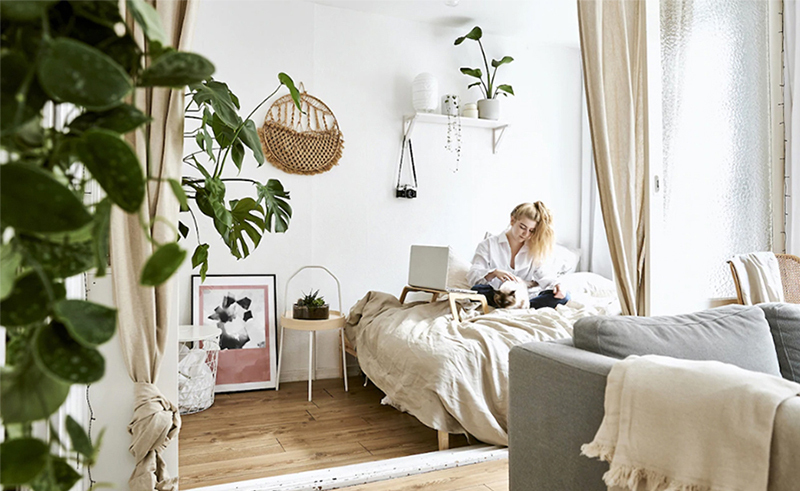 It could help to make a rented flat feel like a home, and allow people to recreate their dream home décor, without having to pay for it all outright. Brands need to make themselves more accessible, either with subtle improvements (for example, online stores could pay refunds quickly, and run a pop-up to give customers an idea of fit and fabric) or with a more radical approach, Ikea-style. Because in 2019, it’s not enough to assume that cash-strapped consumers want the cheapest product. Millennials are picky about what they spend their hard-earned money on; if they’re going to buy into a brand, they need to be confident that it’s worth their money – and that’s not going to happen if they can’t access the brand in the first place. Just how radical is Natoora’s ‘radical seasonality’? The opening of London’s second Natoora fruit and veg branch got us thinking about the seasonal retail model… and how to freshen up the concept of sustainability. If we’re all completely honest, do we really know which fruit and veg are in season, and which aren’t? Asparagus in April? Courgettes at Christmas? The truth is that we’re all so used to getting what we want, whenever we want it – we’ve lost touch with the way produce is grown and sourced. And in this ever more environmentally conscious era, it’s an issue that’s not going away. Enter Natoora. This growing brand is looking to change the way we shop for fresh produce. Now in three upmarket areas of London, Fulham, Chiswick and Chelsea (as well as supplying some of the UK’s top chefs and hosting concessions in six Waitrose branches), they’re on a mission to replace what the founders see as a broken, opaque food system. Natoora’s answer? A transparent and completely sustainable supply chain, using a rotation of small-scale suppliers, and only stocking seasonal produce. With the clever positioning of ‘Radical Seasonality’, Natoora is putting the focus back onto the true costs of farming. They invite their customers to stop thinking of four seasons, and recognise only three: early, peak and late. We love the revolutionary feel of this; while other brands are built on sustainability models, Natoora really owns it; they live and breathe it, right through to the shopping experience. Its stores, for example, showcase the fruit and veg in a way that feels exciting and new. Clean lines and geometric concrete-style architecture put the produce centre stage – the starkness of the grey highlighting the bright colours of the fruit and veg. Intelligent spot-lighting adds theatre, making each piece feel like a true work of art. Natoora’s ethos is to highlight the craftsmanship that goes into growing and farming – and this couldn’t be more evident in the stores, with provenance maps and stories (including info on how it shouldn’t be done) sitting alongside much of the produce. Perfection isn’t the aim here. There’s no plastic packaging keeping everything uniform, produce is haphazardly arranged, and there are slight imperfections on pieces of fruit and veg. 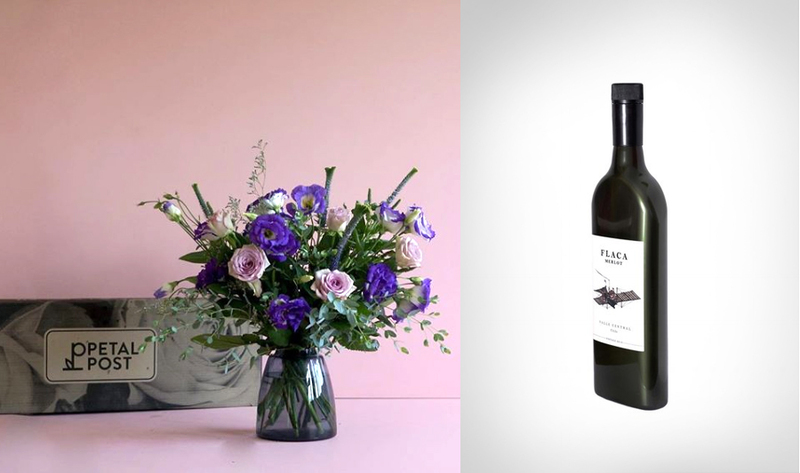 Everything is there to remind you that these are natural products, supplied by small-scale suppliers. So even if the concept of seasonality isn’t entirely radical in itself, the way Natoora presents it feels fresh and new. And in today’s busy commercial sustainability landscape, that’s a great thing for a brand. New Ikea Store: The Future of Retail? When we heard Ikea was opening its first full-size London store in 13 years, and that it would be the most sustainable Ikea store in the UK, we knew we had to check it out. It sounded so optimistic and forward-thinking – a shining example of circular retail, with sustainability workshops for customers and eco friendly tech like solar panels, geothermal heating and a rainwater harvesting system. But would it live up to the hype? Instead of the usual ‘big blue box’ store style, Ikea has incorporated its circular retail philosophy into the design, with a storefront of natural wood and glass, letting lots of light into the bright, airy entrance. As soon as we walked in, a member of staff greeted us and pointed us in the right direction. Maybe we’re biased because we visited on the first sunny day of 2019, but the sun-filled space felt welcoming and uplifting – a great first impression. The PR emphasis on sustainability was echoed in store, with multiple messages projected on to walls, playing on the TVs in showrooms and hanging between products on cardboard signs. Initially, these sustainability messages were generically inspirational e.g. ‘Find the value in waste’. But as we progressed through the showrooms towards the more trade-focused sections, it became clear that Ikea has a lot to say about sustainability. We noticed informative displays throughout the store, highlighting Ikea’s eco friendly credentials like using recycled glass and only selling LED lighting. After a while, these displays lost their impact slightly (we didn’t see any other shoppers stopping for a closer look) but we were left with the overall impression that Ikea is, and has been for a long time, working hard to be more environmentally friendly. We wonder if these displays would be more effective if they had an interactive element, for example letting customers touch the fluffy cotton bolls or interact with the LED light bulb display. More impactful was a walk-through installation about upcycling, with colourful, creative products. We loved the distinctive tone of voice and typography, which were livelier and more engaging here than elsewhere in the store. It was a great example of circular retail, inspiring customers to reuse Ikea products. While Ikea has played up the sustainability factor with nature-inspired design and bold storytelling, this never gets in the way of the customer experience. The whole store is geared towards navigation and conversion: plenty of visible, helpful staff; incredibly detailed, immersive showrooms; and touchscreens where customers can customise products, check on stock and sign up to the loyalty program. The beginning of our journey was as inspiring as we’d hoped. But as we wandered further into the depths of the store, the magic rubbed off slightly – not all the tech worked, for example, and we felt a bit lost in the cold, cavernous warehouse. And then we got to the tills. One of the self-service sections was out of order, and there were long queues wherever we looked. Thanks to a problem at the till (we weren’t told what it was), our queue didn’t move for almost ten minutes. It felt like our journey had ended on a flat note. The queuing experience was frustrating, and the exit wasn’t as pleasant as the entrance (although there was a nice goodbye message, telling us about events Ikea is running in the area). But while we waited at the bus stop across the road (it’s just a ten-minute bus ride to North Greenwich tube station), we realised that, overall, it is a great store. Even from outside, it looks bright and inviting. With all the natural wood, and the abundance of greenery seen through the glass, it feels like a store in harmony with its surroundings. In 2019, we can shop without stopping at a checkout, chat to customer support through WhatsApp and beam a showroom sofa into our living room using AR (so far, so sci-fi). But one element of the shopper journey remains stubbornly inconvenient: the last mile. With frictionless and on-demand shopping experiences becoming the norm, the hassle of home delivery seems like an anachronism. How much longer will shoppers put up with rushing to the Post Office after work, or waiting in for eight-hour delivery slots? It’s time for retailers to rethink their last mile strategy, or risk being overtaken by those that have. We take a look at the brands responding with bold thinking, plus some last mile thoughts of our own. These brands give gift-buyers the convenience and security they crave. Now the shopping, wrapping and posting can all be done on an app in seconds, with a notification when the gift has been delivered. Of course some products will never fit through a letterbox, no matter how inventive the packaging. The real takeout here is the creative approach to delivery, which all kinds of retailers can embrace. …which bring us to Amazon Key. Launched in 2017, it works with a smart lock and camera to give delivery workers access to your home, or the boot of your car. While it negates the age-old problem of having to wait in for parcels, its success relies on a change of thinking from customers… are we ready to let strangers into our homes? Then there’s Amazon Scout, a pavement-roving robot that navigates itself around the city. 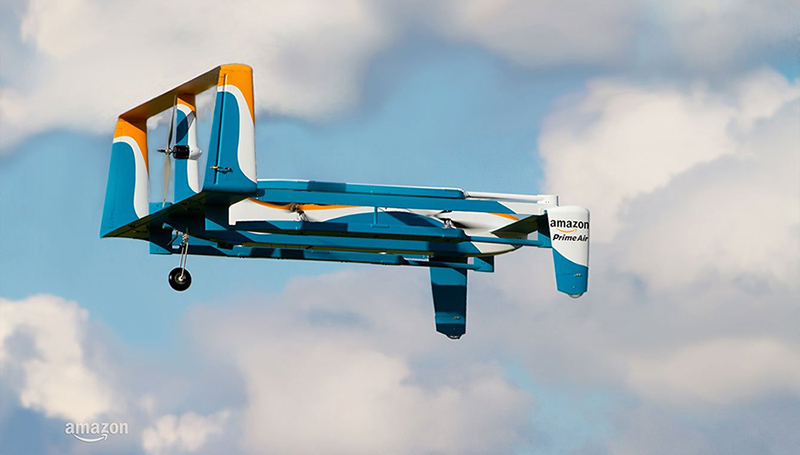 Although the idea seems amazingly futuristic, Amazon is actually behind the curve on this. While Scout is currently only available in one suburb near Seattle, more established companies already have fleets of delivering robots on the streets – and they’re going global. Since 2014 and 2015 respectively, Starship and Marble have been rolling out bots across the United States, the UK and Germany. 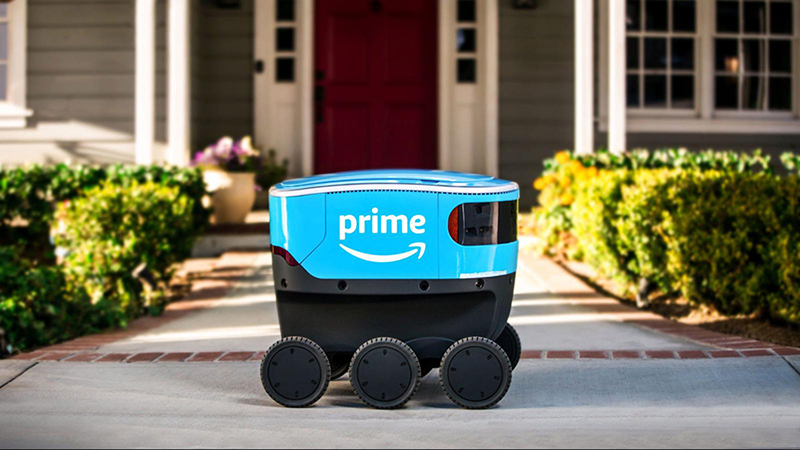 It’s unlikely they’ll ever be used to deliver larger items (rush hour is busy enough without sofa-sized robots joining the fracas), but they’re proving successful in the grocery and takeaway sectors. The big question is: how would the public and robots coexist? Would the bots be secure from theft and vandalism, for example? If the failure of communal bike schemes in European cities is anything to go by (too many unattended bikes were stolen or smashed up), perhaps not. The potential of these new technologies is exciting, but we’ve a long way to go before they become widespread; a more immediate fix would be to improve existing logistics. Could retailers club together to put depots in every neighbourhood, filled with lockers accessed by a unique code? What if online retailers partnered with local takeaways to offer a late-night delivery service? With bold, outside-the-box thinking, who knows what the future of delivery looks like? One thing’s for certain: retailers need to put convenient delivery at the heart of their business. Because while we call it the last mile, it could be the first barrier that stops a shopper from making a purchase. With 9 stores in the US, a rumoured 2019 expansion to the UK, and allegedly 2,000 stores planned to open over the next ten years, we just had to check out one of the buzzy new Amazon Go stores. For those who haven’t heard, Amazon Go is a chain of convenience stores launched by Amazon in 2018 that uses what the tech giant calls “the world’s most advanced shopping technology” to let customers shop without the need to queue or checkout to make purchases. Amazon calls it the “Just Walk Out Shopping experience”. Here’s our take on what worked and what didn’t, and what it means for retail design. We walked up to the flagship store located in Seattle, and immediately there was a sense of excitement. The exterior of the store has minimal branding in black and orange (colours pulled from the Amazon logo), but is mainly glass, allowing passersby to peer inside to both the store itself and a large kitchen where fresh meals and snacks are prepared on site. When you walk inside, there’s a small alcove before you reach the scanner gates – a great place for the crowd (mainly tourists) to get out of the rain to download the Amazon Go app, which is needed to scan in. There were also two Amazon employees helping people get set up, and answering questions, which was particularly welcome when they showed us how to scan two of us in with just one phone (otherwise the phone owner would be paying for whatever the second person picked up too!). Inside, most of the store is dedicated to prepared meals, which all look pretty good, but there are also grocery aisles for all the essentials. We picked up – and put down – lots of different products, but ended up only grabbing a few souvenir chocolate bars for the team back at the studio (we love the fact that the store acknowledged its customer base of techie tourists by selling souvenirs!) and then we… walked out with them. Yep it was definitely a strange and counter-intuitive moment to just walk out the gates without paying (you don’t even need to scan out to exit, the exit gates just open). Nothing happened on our app upon exiting, so thinking maybe it hadn’t worked, we approached one of the Amazon employees to check. She casually laughed off the feeling of stealing, and let us know the app would update within a couple minutes. Sure enough, approximately 4 minutes later, and a few blocks away, the app updated with a receipt with our exact purchase on it. It felt like magic. It felt like the future. It felt extremely cool. The overall feel of the store was that it was a little bit stark, almost too clean, and not very ‘foodie’. We think this is because the complex system of cameras that track your virtual cart as you pick things up throughout the store needs to see what people are doing clearly. The tech was well-hidden though, and unless you looked up to the ceiling, where the cameras were camouflaged in all black, you would hardly notice it. Along with hiding the technology, Amazon has clearly made design decisions to make the store feel non-techie and approachable, such as the use of warm wood panelling, a friendly tone of voice, and hand-drawn illustrations and food photography throughout the store, but it still felt a little cold compared to what we’re used to from a grocery store. What absolutely worked was how Amazon had translated their previously online-only brand to a retail store. Using colours derived from the logo, and fonts, design and tone of voice that felt friendly yet simple, much the same as is used through the online experience everyone is familiar with. While there were aspects of the design we think could be improved, overall it felt like a pretty seamless cross-channel experience. Overall, our visit to Amazon Go was a fun look into what the future of retail will inevitably hold. Because of its novelty, the store felt a bit like a PR exercise to show off Amazon’s technology muscles, but they did a good job making the impenetrable, futuristic technology feel approachable. Also, we’re not going to lie: if an Amazon Go opened up next to Whippet HQ, we would be in there nearly every day – you just can’t beat the convenience of saying goodbye to queuing elsewhere in favour of being able to pop in, grab a fresh lunch, and walk out in just a few seconds.